Study Master of Management (Tourism and Event Management) at the University of South Australia (UniSA). Information for International students. Teaching informed by above world-class research in management, marketing and business. Flexible learning arrangements to best suit your individual needs. Pursue a global career in the tourism, event and hospitality business sectors. Study at a university that has been awarded the South Australian Tourism Award for Education and Training, and admitted to the SA Tourism Hall of Fame. Our teaching is informed by above world-class research in Business and Management2. Join a business school ranked 25th in the world for Tourism Management4. 1UniSA Business School is one of just nine institutions in Australia and 180 globally to be accredited by EQUIS (from over 16,500 worldwide). EFMD, February 2019. 22015 Excellence in Research for Australia (ERA). 3QILT: Graduate Outcomes Survey Course Experience Questionnaire 2016-18 – Full-time Employment Indicator. Public SA-founded universities only. 4ShanghaiRanking's Global Ranking of Academic Subjects 2018 - Hospitality & Tourism Management. In this degree you will learn contemporary management skills and study areas such as project management and the principles and practice of tourism. You will gain the confidence to manage organisations and achieve business objectives in an efficient and effective manner. You will benefit from a range of experience-based learning opportunities, including overseas study and business mentoring by a senior business leader through the Executive Partners Program. Our summer and winter schools offer exciting study and learning opportunities. With options such as intensives and internships, you can spread your study load across the year, increase your exchange opportunities or fast track your degree. You will also complete three postgraduate electives - two from your specialisation and one from the Business School. They will enable you to develop skills from selected key disciplines essential for management in business. 2. 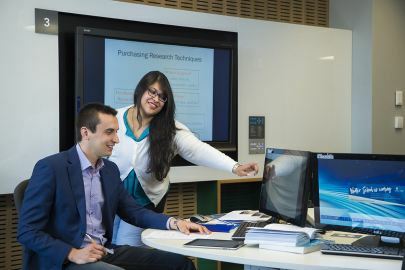 Students undertaking the Transition to Masters pathway between the Bachelor of Business and Master of Management (Tourism and Event Management) program will receive credit for this course. 3. This course must an advanced level course. See Business School Electives list for options. With flexible learning arrangements to best suit your individual needs, this degree is delivered face-to-face, online or a combination of both. There are a range of options available to fast track your learning. Develop the specialist skills to succeed in the vibrant tourism and event management industry. We have been awarded the South Australian Tourism Award for Education and Training, and admitted to the SA Tourism Hall of Fame. (from over 16,500 worldwide). EFMD, February 2019. Placements and internships bridge the gap between study and work. Our connections to industry create opportunities for you to grow. These experiences build confidence in the business world and give you a competitive edge. We also host regular University-wide employee master classes and employment expos, and alumni events in Australia and overseas. At the UniSA Business School, you'll learn invaluable transferrable employability skills to future-proof your career - see where a degree in Tourism and Event Management could take you. Employment for amusement, fitness and sport centre managers in Australia is projected to increase by 20.8 per cent by 20201. By 2020, employment for conference and event organisers in Australia is projected to increase by 9.5 per cent1. Accommodation and hospitality manager employment in Australia is projected to increase by 14.3 per cent by 20201. "With significant success in similar fundraising event roles in the past, coupled with my contemporary postgraduate education from the UniSA Business School, I feel thoroughly equipped and confident to take on any management role."